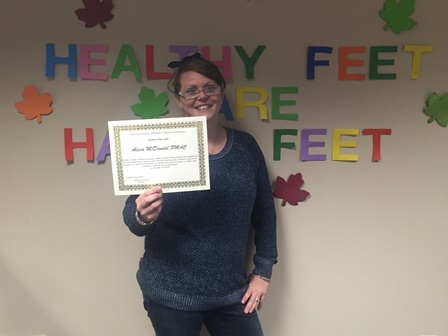 "Congratulations to our very own Alicia McDonald for completing her training as a Podiatric Medical Assistant Certified (PMAC). Indiana Podiatry Group is committed to excellence on every level. Kudos to you Alicia!"